Ground Floor Shops available for Sale on Booking. Ground floor shops are available for sale on booking. 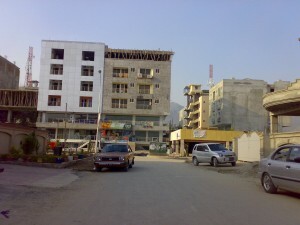 Shops are situated in Sector E-11/2, Federation Cooperative Housing Society, Islamabad. It is a commercial project civic centre. Per shop price is 5,000,000 rupees and down payment is 30 percent and 5 quarterly base instalments. Contact us for more details. Area: 300 Sq.ft. / 1.33 Marla. Posted in Commercial, E-Sector, Sale E-11/2, Shop for Sale and tagged Shop Sale E-11.